Looking for Direction from Industry Leaders? 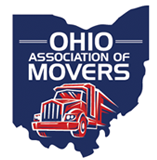 On September 17-18, 2018, the Ohio Association of Movers held its Annual Conference in Toledo, Ohio. The conference, which had over 200 attendees, included educational sessions led by Anirban Basu, Lewis VanLandingham, Mike Briley, Jeff Davis, and Bob Pacanovsky. There were multiple special guests in attendance, including: Wade Kapszukiewicz, Mayor of Toledo; Larry Obhof, President of the Ohio Senate; Senator Frank LaRose; John Lyboldt, President of TCA: Chris Spear, President & CEO of ATA; and FMCSA Administrator Raymond Martinez. The conference concluded with the Tuesday night banquet. We hope that you will join us in 2019!